The Deputy Speaker of the Anambra state House of Assembly, Hon. Afam Obi has accused Governors of the South-eastern states of Nigeria of misappropriating their security votes which run into hundreds of millions of naira. Obi who made this assertion while speaking to newsmen during the stakeholders summit on inclusive budgeting in Nigeria, also maintains that the ugly development was the cause of the high crime rate in the region. He however called on South-east Governors, Lawmakers, Stakeholders and other interest groups to evolve a common strategy aimed at pooling resources together to tackle the spate of armed robbery and kidnapping in the region. He advocated for the purchase of two or more helicopters with modern communication equipment and detectors, placed in strategic locations in the region where it could be called up in a matter of minutes to intervene in any security situation. “I do not play politics with security. The security situation in the Southeast is pathetic. The militants who were displaced from the core Nigeria Delta regions have left their creeks, came upland to terrorize us. We must rise to the occasion. And since no state can do it alone, resources must be pooled together to confront this ugly development,” Obi stressed. Obi who represents the Ekwusigo constituency in Anambra state, however expressed hope that with the workshop on inclusive budgeting, all is set for a new dawn in the budget and appropriation of the country. He advised the National and State Houses of Assembly to ensure that the recommendations of the summit are religiously implemented. In a related development, the adjoining Enugu state is also gearing up a legal tussle, as the state chapter of the Progressive People's Alliance (PPA) has concluded arrangement to drag the Enugu State Independent Electoral Commission (ENSIEC) to court over allegations bordering on the sales of nomination forms for the December 5th, 2009 Local Government Elections in the state. This was disclosed by Mr. Anthony Chidozie, coordinator of the PPA in Nsukka zone of Enugu state. He alleged that ENSIEC, the organizers of the said elections were selling chairmanship and councillorship nomination forms to aspirants at the rate of 250,000 and N150, 000 respectively. He described the action as unconstitutional and a crass violation of the electoral act of the land. Chidozie however noted that the exorbitant sales of the forms was a deliberate ploy between the ENSIEC and the ruling People's Democratic Party (PDP) to scare away aspirants from other political parties from picking the forms. Chidozie however assured Governor Sullivan Chime and the leadership of the ruling PDP in the state that they would be made to eat their words for bragging that there was no formidable opposition party in the state. He noted that the PPA of today in Enugu state is a strong coalition of top political parties in the state which include the All Nigerian People's Party (ANPP), Action Congress (AC) and Labour Party (LP), firmly fused together with a determination to wrest power from the PDP in the state. 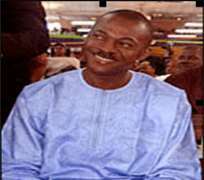 “By the time we unveil our roadmap to the Enugu state Government House, Chime and his party faithful would have taken back their words”, Chidozie said.